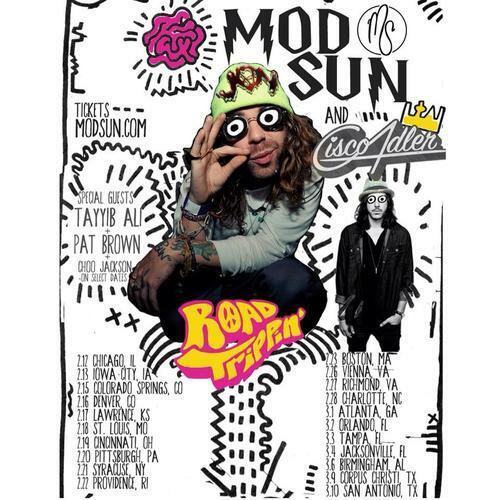 Mod Sun will heading out this spring on tour accompanied by Cisco Adler. There will be special guests, Pat Brown, Tayyib Ali, & Choo Jackson on select dates. Dates are on the flyer above!